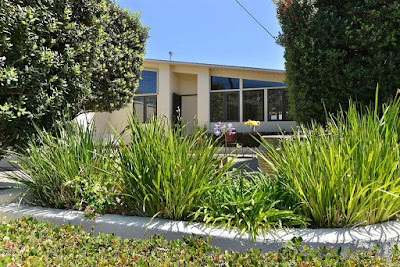 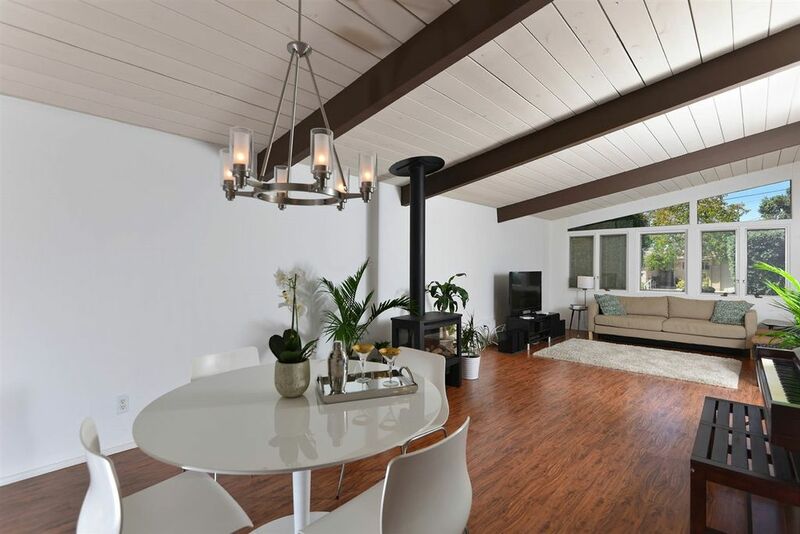 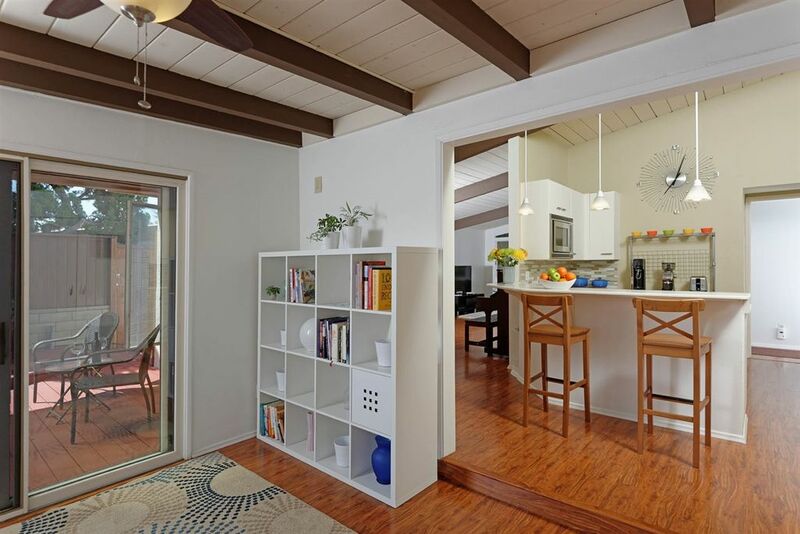 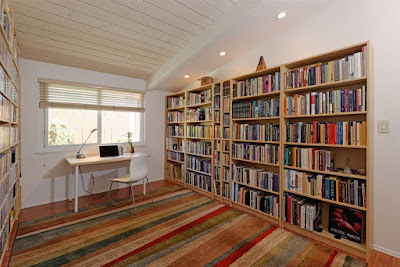 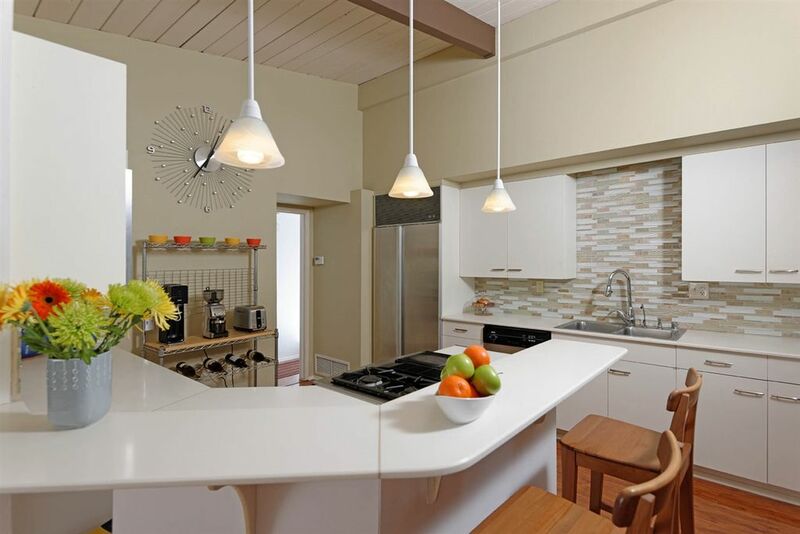 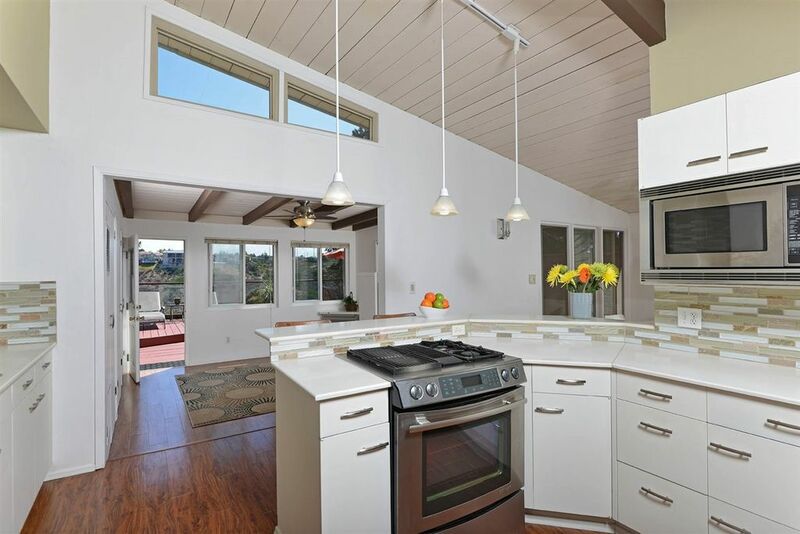 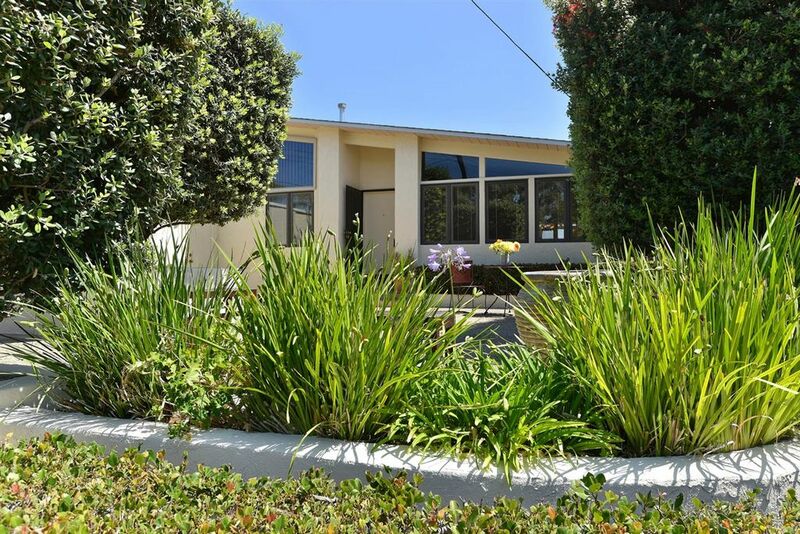 Built in 1961 is this San Diego Palmer & Krisel-designed home situated on a view lot backing up to Stevenson Canyon. With four bedrooms and two bathrooms in 1,808 expanded square feet on a 9,400 square-foot lot, the asking price of this home is $845,000. 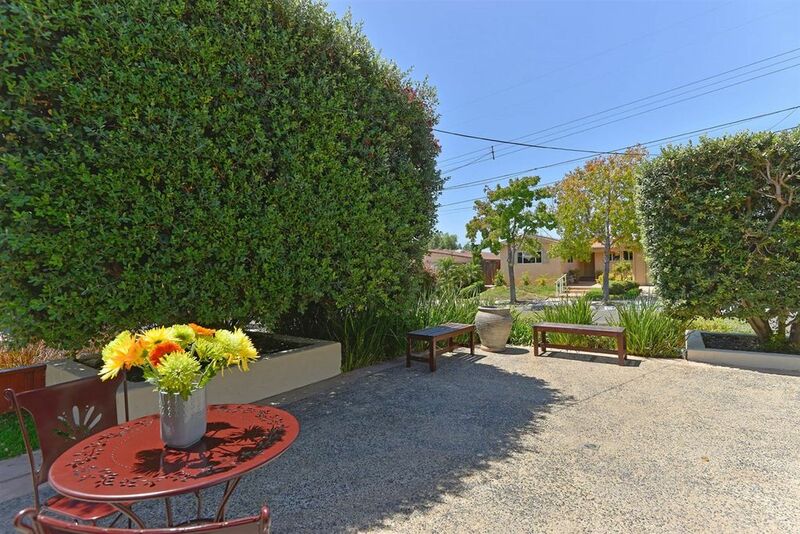 Situated on a cul-de-sac street, this west-facing home hides behind well-manicured privacy shrubs siting in elevated planters. Behind the planters sits a raised exposed aggregate patio, creating a large front porch and sun deck area that is partially screened from the street. Inside the home, the living room sits at the front of the south side of the home, overlooking the front patio area. The room features wooden floors and original exposed wood beamed ceilings, along with a later added freestanding fireplace. 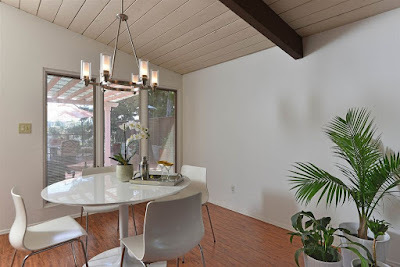 The dining room sits open to the living room at the rear of the home and overlooks the backyard deck through reduced-sized windows. The updated kitchen sits adjacent to the dining room at the rear of the home, and features smooth-faced white laminate cabinets, composite counters and mosaic backsplashes. 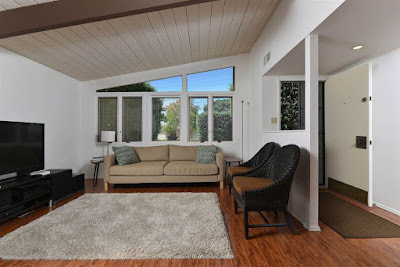 A family room addition has been tacked onto the rear of the home, and steps down from the main level of the home, and has been finished with an open beamed wood ceiling similar to that found in the rest of the home. The three secondary bedrooms sit along the front and north sides of the home, while the master bedroom sits at the rear overlooking the backyard. 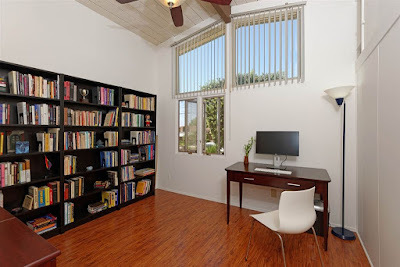 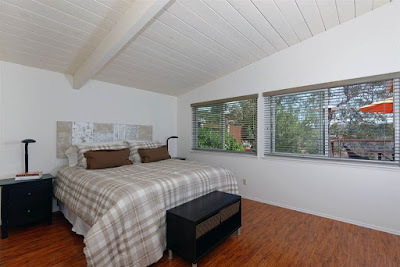 All four bedrooms feature the same wood flooring and open beamed ceilings as found throughout the rest of the home, and no photographs are provided of the two guest bathrooms. 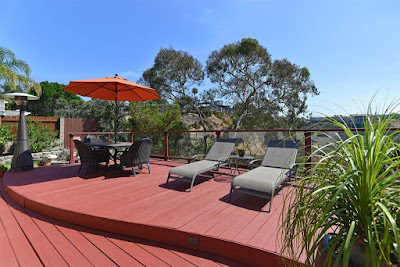 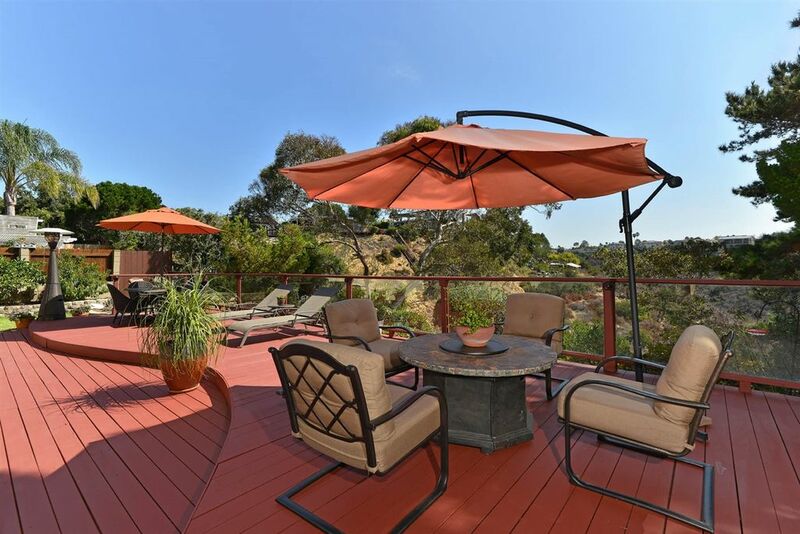 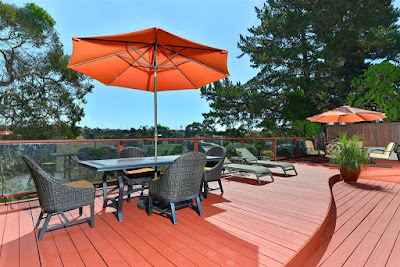 The backyard consists mainly of a two-level deck maximizing views of Stevenson Canyon. 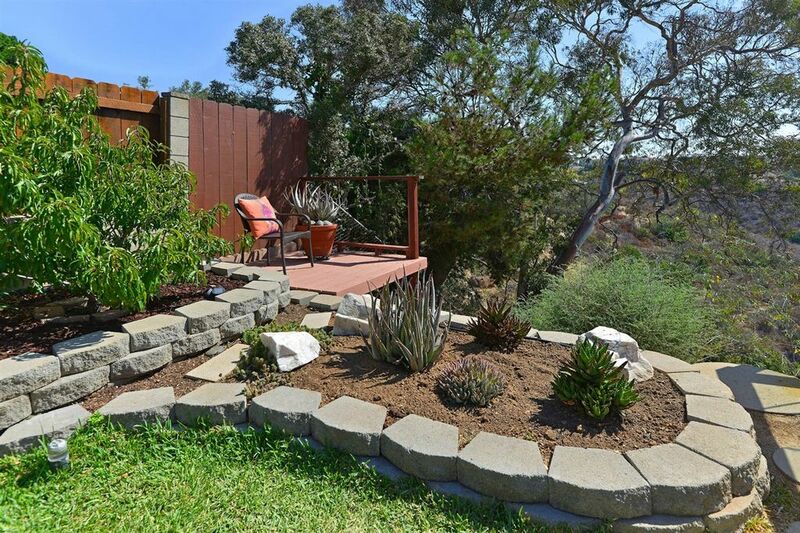 Much of the rear yard area is downward sloping hillside with natural terrain. Clear railings at the edge of the deck help give an open feel to the adjacent canyon, and a small patch of turf sits near the north side of the yard. 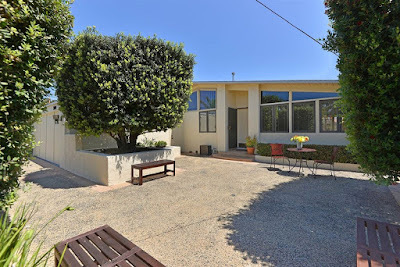 If anyone out there is looking for a great a midcentury modern home in San Diego with a view, be sure to check out this clean-lined charmer.